I don't know what Salif was talking about, I don't understand the language, but you know what, when you listen… Moffou was around about the time I started paying attention to those guys from the French-speaking West Africa. People like Super Diamono De Dakar, Super Etoile De Dakar, Youssou N'Dour and then Sekou Diabaté and the rest of the gigantic maestros from West Africa now. And then I discovered Salif and this just reminds me so much of Afrobeat, what we do. The lingo is different, but the message is the same. For me, Moffou just speaks to my heart. It takes me back more than 600 years, because Salif comes from a griot lineage and his style of singing has been passed down from generation to generation and he traces it and the content and everything. 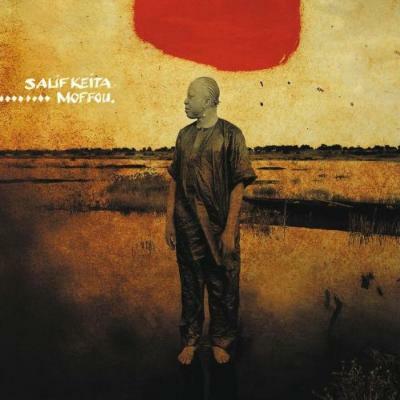 When I need to get in a particular zone I bring out Salif Keita and Moffou is one of the songs that kicks off the ability to then transport myself out of the Afrobeat that I am used to and go into that zone. My West African brothers, instead of using horns, they use their voice. So where we would have had horn sections playing that line, they have just written words. Of course there is more to Salif than this album, but this sticks out as my starting point when I want to listen to Salif.